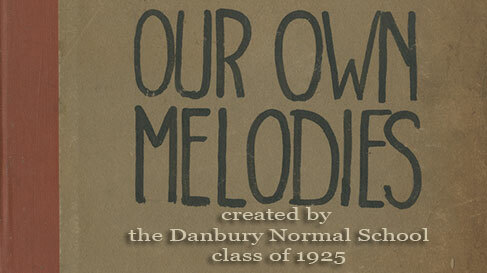 This is a book of children's music with original melodies written by students in the Danbury Normal School's class of 1925. Each piece of music, most of which are based on Mother Goose rhymes, is accompanied by an original woodcut illustration. Renderings of the melody lines were created by our special projects adjunct archivist, Ann Victor. See a full description of this item.